Patience Has Truly Paid Off! A few weeks ago, I blogged about the importance of patience for writers, especially when submitting one’s work. Well, this week I received an email from a publisher telling me that she’d like to publish the first mystery in my new series. This came after three separate queries to this publisher over a span of 23 months. But, really, the submission history for this book is much longer. I first started submitting Deadly Resurrection in 2000, one of them to an agent who liked the novel, took me on as a client but, in the end, couldn’t sell it. In 2004, I found a new, small publisher who offered me a three-book contract. As fate would have it, the publisher tanked, but rather than resubmit elsewhere, I decided to edit the book and later submitted it to two more publishers in 2008. Five months afterward, I began yet another edit because I’d been to a conference, pitched the book, and received some good advice from an experienced agent; advice that has contributed to this week’s success. But, as you can imagine, none of this has been an easy road. Deadly Resurrection was submitted to 31 publishers over a ten-year period, though some of these submissions were only query letters, sample chapters, and the synopsis. Has it been worth the wait? You bet. I’ve found an established publisher I’m confident I can work with. I’m meeting the editor this week which will result in another edit. But if it makes the book that much better, then I’ll embrace the experience and continue to learn. After all, that’s what it’s really all about . . . Learning, gaining experience, and learning some more. There are a lot of myths and misconceptions out there regarding the pros and cons of either self-publishing or traditional publishing. I recently came across a blog that was advising writers on 5 Reasons to Self-Publish Your Next Book, and I found all but one of the 5 points to be very misleading. Of course, this is my opinion, based on the fact that I know a lot of authors who have done either or both, and I have done both. Without printing the author's explanations, here are the 5 reasons the author offered, and my opinion on them. Reason #2: Publishing Companies Don’t Actually Do Anything. Reason #3: You Will Make More Money. Reason #4: You Will Spend Less Money. Reason #5: A Publisher Will Never Care As Much As You Do. While I heartily agree with #1, I find the rest of the points quite misleading, especially to newer, less experienced writers. As an author who has both self-published and published traditionally, I am not speaking from one bias. There are definite pros and cons to both sides and I am pro-self-pub and pro-trad-pub. This is untrue for the most part. Publishers do a LOT for their authors; much of it is behind the scenes stuff that authors never have to worry about, such as sending copies to Library of Congress, obtaining and registering ISBNs, obtaining UPC and other codes, finding good editors, finding great cover designers, aligning with a solid distributor so your books get to bookstores and events on time, preparing review lists and packages to entice advance reviewers to read your book, sending out ARCs (advance reading (or review) copies), and so many other tasks BEFORE your book is ready to sell. Of course, self-pub'd authors CAN do these things themselves, but it'll cost time, money and they may not have the connections needed. When the book launches, many publishers will assist with book tours and launches (some financially, some with setup), they often pay for co-ops in bookstores (endcaps or special bins that get more notice and advertising), represent the author at book fairs like BEA and the former BEC and more, print brochures and mail out to libraries, schools, bookstores and other book retailers. I'm not saying that every traditional publisher does all of this. But a reputable and good one will do much of this. I have heard this from MANY of my traditionally published author friends. This is very misleading. When you self-pub a book, you WILL make more money per copy--providing you sell them all and AFTER you've paid for them. But the average s/pub'd author prints short runs, anywhere from 200-1000 books on average. S/pub'd authors who write non-fiction and have a strong platform and venues like colleges or organizations to sell their books to will generally print larger runs. These are the s/pub'd authors who tend to make more money. But they also spend more in traveling expenses. The average self-pub'd fiction author will make more per copy but sell far fewer copies than they would if they were traditionally published. I know this from experience and from my fellow authors who have shared their stories. I self-pub'd Whale Song in 2003. It was quite successful and I made back my initial investment (subsidized costs and print costs) very quickly. In the first 3 years I made a fair amount of money. In 2007, Whale Song was published by a trad. publisher. A larger print run was printed (one I didn't have to pay for) and the distributor got my books into more libraries and stores than I had on my own. In the first 2 years, I sold more copies because of distribution and advertising that my publisher did. I made MORE money this way. This statement is both correct and incorrect, in my opinion. You, the author, will care more about your creation as a whole, because you thought it up, slaved over it, perfected it, struggled with it, loved it/hated it, etc. You WANT success so badly that you see your work as a pedway to the top. However, a publisher cares too. They see your work as an INVESTMENT. They've purchased the rights, taken a huge leap of faith on it and YOU, they've risked their finances, time and reputation on you and your work. Of course they care. But yes, for different reasons (for the most part) than you, the author. Although, I have heard that there are still some publishers out there who genuinely care about their authors, the books and everyone's success. This statement is absolutely correct. Nowadays, self-publishing is as easy as a good printer and binding equipment. That doesn't mean the work itself is any good--or the editing. I advise my clients who are considering self-publishing to ensure that their work meets the same high standards of trad. pub'd books. Yes, even a bestseller can have typos, but on average they are better edited. If you self-pub, hire an editor. If you aren't artistically talented, pay for an eye-catching book cover design, not some cheesy looking cut and paste design a ten-year-old could make. You can self-pub completely on your own (I call this DIY self-publishing) or with the assistance of a subsidy publisher (they often have great distribution set in place to get you up and selling much faster than DIY) and some subsidies offer decent editing. Regardless of how you publish, make sure you check the publisher (printer, distributor, editor) out very carefully. Contact some of their past and present authors and ask how their experiences were. Check them out on Preditors and Editors and Absolute Write. Above all, be informed about all the pros and cons. Happy writing, publishing and promoting! This week I was editing one of the last chapters in a mystery novel I started writing about four years ago. This is the ninth draft of the second book in a new series. Book one is currently being considered by a publisher and book three has gone through four drafts. As I began my morning edits a couple of days ago, a terrible realization hit me. I haven’t even finished this draft and it’s already out of date. You see, in the chapter I was working on, my protagonist, Casey, is driving down a major thoroughfare and has good reason to believe she’s being followed. She’d already placed a call on her cellular to the RCMP corporal who’s been handling a murder investigation. So when he calls her back she picks up her cell while driving and tells him what’s going on. That’s when it hit me. Our provincial government changed the laws at the beginning of 2010, making it illegal to drive and talk on a cell unless one’s hands are free. This scene made me wonder how many times I had her talking on her cellular while behind the wheel. I did a search and discovered none, however, the situation is totally different for book three, so Casey will have to wear a headset while driving. It’s a small detail, but an important one. And this is what sometimes drives me crazy about fiction. It takes a long time to write and edit a book, and a long time to get it published, so when it finally hits the bookstore, locales, laws, and technology might have changed to the point where your book is already dated. Writing contemporary fiction means constantly keeping up with change, something that historical fiction writers don’t have to contend with, although they have their own challenges. Once your book is published, there’s not much you can do. But as long as you’re still editing, the onus falls on you to stay on top of the many changes real life throws at fiction writers because readers do want us to get it right, and who can blame them? Sometimes a story just won't cooperate. Sometimes I just can't get it to make sense to anybody else, or it goes so far and won't go any farther, or there's just something wrong with it and I don't know what it is. Those problems--and many others--usually mean I don't actually know what my story is. I have characters I like, a tone I like, a theme I like, a situation I like, a general shape I like and/or an ending I want, but I haven't dug into all those things I like and defined the story. That's because defining the story means removing a lot of what I like. I want to say this, I want to say that, I want to explore this setting or that emotion, but I want to write a short story. Well, a short story only has room for so much. If you want to present more than a short story is capable of carrying, you have to write a novel--or a poem. *WHEN SOMETHING HAPPENS*, *YOUR PROTAGONIST* *PURSUES A GOAL*. But will he succeed when *ANTAGONIST PROVIDES OPPOSITION*? When the ghost of his dead partner shows up on Christmas Eve, moneylender Ebenezer Scrooge just wants to be left alone to continue his miserly life as it is. But will he succeed when he's forced to relive his past, view the present, and foresee the future? The pitch is a 2-3 sentence summary that includes the “who, what, why, and why not.” Just enough information to intrigue the agent (I want to read that book!) and induce salivation (I think I can sell that book!). You can structure the pitch any way you want, but you can’t go wrong with the following formula: When [A] happens, [B] wants [C] because [D], but [E] must first be overcome before [F]. descriptors that imply the genre. When a dark power overshadows Middle Earth, Frodo Baggins, a mild young Hobbit, is determined to defeat it or die trying. Though the destinies of many races hang in the balance, it's love of the ordinary peace and plenty of his native Shire that gives him his courage, and the loyalty of his Hobbit companions that sustain him in his journey. Although the Dark Lord sends legions and monsters, creatures and corruption against him, a small person's willingness to sacrifice self for the good of others is stronger than anything the Enemy can do. You could probably come up with better ones. Try to. Pick a book or movie you feel is particularly strong and try to write a story skeleton or pitch summary for it. Do several for practice. Then do it for your own work-in-progress and see how that goes. Sunday-early evening-I am sitting in Grand Central Station food court, lower level, waiting to catch a train back to Connecticut. The seating area is comfortable, large, plastic high back chairs that resemble fine leather, library favorites. These are all set in a circle facing outward, perfect for people watching. I am writing this on the week-in-review section of the New York Times. My sentences are scrawled across a photo with lots of background; a writer’s perogative to use what is handy. As I sit and contemplate the diversity of those coming and going, I am struck by the differences, none is the same but each has two things in common, a story and a cell phone. Electronic devices cupped in a hand, held to an ear, dangling off fingertips or blue tooth, from the well-dressed couple headed back to Fairfield County to the homeless man in a wheelchair parked next to a post with an outlet, his cell phone plugged in and charging. New York could be a fictional planet not a real place, and its inhabitants aliens not ordinary citizens. I am a writer, a space walker in this city looking for creative fodder, a lineup of fictitious characters, from whom the germ of an idea can be planted, nourished and written. Day 15, third month of the Writer’s Challenge-the writing is steady but slower than anticipated. I have gone overboard with my research discovering minute facts that may go unnoticed to the reader; however, the best news is my new title rocks. Blog what your see, feel and think. Have the best day everyday. 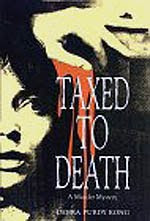 Looking For a Break From Those Pesky Tax Forms? Revenue Canada auditor, Alex Bellamy, has always dreamed of adventure. During a field audit, he discovers evidence of fraud. Alex learns that others, including someone inside Revenue Canada, are involved. He persuades his colleague, Andy Gowan, to help him investigate; but Andy is murdered and Alex is forced to turn to Jillian Scott; a lady he’s never met, and who has her own frightening reasons for refusing to cooperate. Soon, Jillian’s fears and Alex’s search for a killer embroil them in a bizarre and disturbing nightmare not everyone will survive. “Purdy Kong does not hold back from taking a look into people’s interior and private lives, and that’s a quality which will take her far. Her writing is clean, capable, even poetic. 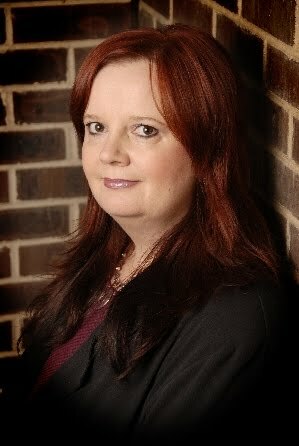 Purdy Kong has found her voice.” Edgar award winner, G. Miki Hayden, author of Writing the Mystery. "I Read About You in the Bathroom"
Back in 2006, I had an interesting experience, one I'll never forget. It taught me that readers and fans were to be valued above all else in this industry. Without readers and fans, I'm just someone with a lot of crazy ideas who happens to type them out. On this particular day many years ago, I packed up my laptop and headed for my favorite haunt, a local coffee shop. I got there in the morning, sipped four jumbo mugs of cinnamon hazelnut coffee, had lunch (the Cheryl's Special Quesadilla), then later had a slice of lemon poppy seed loaf. I didn't leave until after 10:00 PM. I worked on Children of the Fog, my new suspense novel that asks, "How far would you go for your child?" (It's now in the hands of my agent.) I wrote in a frenzy, finishing 2 chapters, plus some editing. I was lost. Lost in my world--the one I had created for Sadie and Sam, the mother and son in my novel. Then a small voice brought me back to reality. "Are you Cheryl...T?" a young girl asked hesitantly. "Yes," I answered. "Are you a friend of my daughter's?" The girl shook her head. "I read about you in the bathroom." I smiled. I had two posters on the bathroom walls of the coffee shop--one with the cover of The River, one with the cover of Divine Intervention. "Do you have any of your books here?" the girl asked me. Without a second thought, I put aside my laptop and searched the canvas tote bag, coming up with one Divine Intervention and the very last copy of The River (it had sold out across Edmonton by December 20th). "I have both," I said. She immediately raced off. "I'm going to tell my mom!" A minute later, she reappeared with her mother in tow. The girl's enthusiasm was contagious and for a moment, I forgot they were here to see me...and not some rock star. :) The mother introduced herself and asked about my books. A minute later, Julie was writing me a cheque and I was signing her new books. Her daughter smiled all the while, then made my day all the more special by a simple request. "Can I have your autograph?" "Of course," I said, happily signing one of my bookmarks for her. Julie walked away with her 2 books, while her daughter skipped away with her treasure--the bookmark. I had to smile. The simplest of things and a few minutes of my time had made two people happy. It wasn't until I got home that I recalled the girl's words: "I read about you in the bathroom." How funny that seems now. Back then, I was confused. I realized that my posters couldn't possibly have indicated who I was. After all, they showed book covers, not ads saying, "Look for the woman with red hair typing maniacally on a laptop. That's Cheryl Kaye Tardif." So how had she known? When realization hit me, I began to laugh. You see, earlier that day I had switched the cover posters in the men's and women's washrooms. And I removed two smaller signs that announced a past book signing event. On the bottom of those signs I had mentioned that I could often be found in this coffee shop. There was even a small photo of me. But I had folded the signs in half and tossed them in the garbage can. THAT'S how this young girl knew who I was. I read an interesting piece in John Kremer’s marketing newsletter about the number of authors who’ve sold their first books to major publishers. Some on the list sold their first books decades ago, but I’m sure they had as many hurdles as we do today. Here’s a partial list of successful first-time novels. Notice how many of them have been made into movies. According to the newsletter, author Kim Edwards’ first novel, The Memory Keeper’s Daughter sold 55,000 hardcover copies and over 2.5 million in trade paperback. Because it was #1 on USA Today’s bestseller’s list, it was also chosen as Book of the Year for 2006. Wow! Canadian author Terry Fallis published his humorous novel through print-on-demand. It sold lots of copies and he won Canada’s Stephen Leacock Medal for literary humour in 2008. You see, it is possible! And here’s a tidbit of interesting info: Anne Frank’s The Diary of a Young Girl was rejected by 15 publishers before it was picked up by Doubleday in 1952. The book has sold more than 30 million print copies. It's Gonna Be A Good, Good Book!! Check out this Black-Eyed Peas inspired video "Gotta Keep Reading." Oh, it will inspire you!